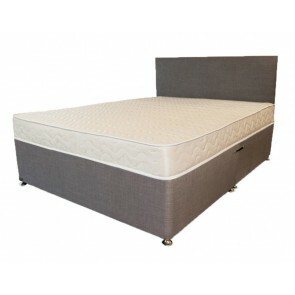 Here at Divan Beds Centre as well as providing full divan bed sets for sale, we also have an excellent range of simple divans. If you already have your mattress and your head board is ready and waiting then all that is left to do is choose a base from our exciting and unique range. Whatever size you need, we can help as we stock the full range of sizes. From small singles of just 2 ft 6 inches wide up to 6ft super king size models, we have all standard UK bed sizes available. We also design and build custom sized divan bed bases and offer a bespoke bed service for anyone who requires a specific bed size other than the usual sizes. Please contact us with your specifications. 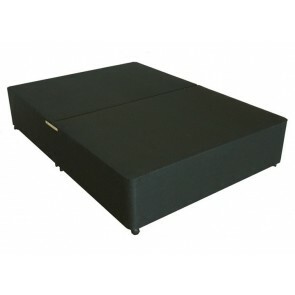 Our divan bed bases are available in a number of different styles. We have faux leather varieties available in black and brown. These provide the ultimate luxury for your home and make a dramatic effect in any room. 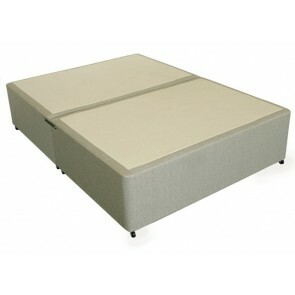 Alternatively you can choose a bed base with a beautiful suede finish. Our stone coloured suede divan beds are a particularly popular style as they provide such a stylish centerpiece for the bedroom. We also have divan bed base frames available in a light cream damask fabric that blend beautifully with any existing style. 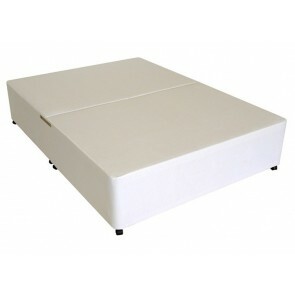 All our customers have a choice of design too for their divan bed. You can choose a divan bed base with built in drawers for extra storage, and you can select the style of drawers that best suit your needs. Those in need of a large storage area can select our jumbo sized drawers that are positioned along the whole length of the sides of the bed. Alternatively there are drawers that stop just short of the head of the bed leaving enough room for a bedside table on each side. The drawers can open outwards into the room as space permits. For when there is very limited space available you can choose drawers that have a horizontally sliding door. 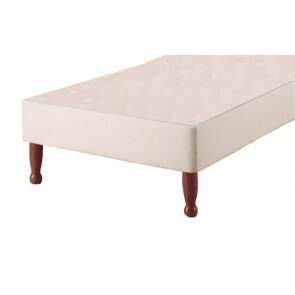 Our divans bed bases come in two halves that are easily assembled once in place. There are easy glide castors attached for further ease or movement and the drawers all have a unique sliding system that ensure they open and close smoothly.